Yum Yums were a short lived series produced by Kenner/Hallmark in 1989-91. 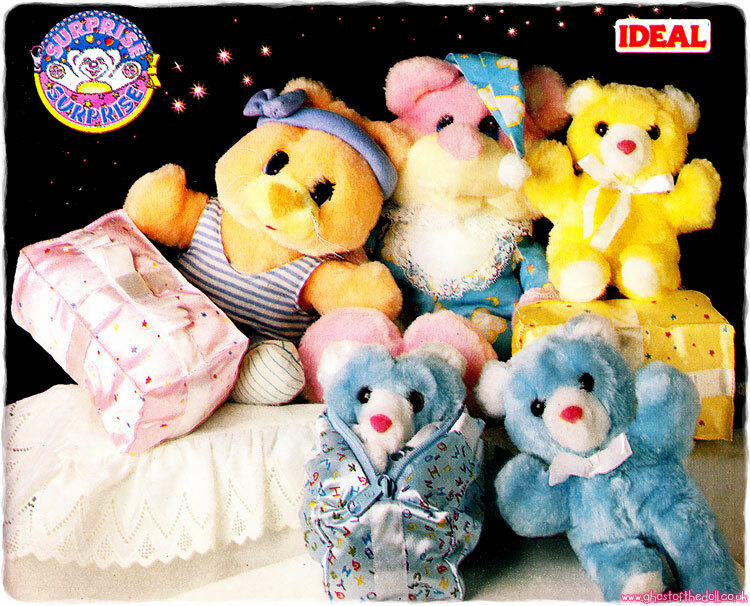 They were large, colourful plush animals with sweet treats pictured on their bellies, ears and feet. There was also a one-off special cartoon made. Yum Yums were reissued by a Japanese company around 2011 (licensed by Hallmark) and produced a multitude of accessories. They also introduced several new characters. View all Yum Yums on eBay.com or eBay.co.uk !